Found within the exclusive Cap Estate community, Brise De Mer is a luxury, private villa and pool. 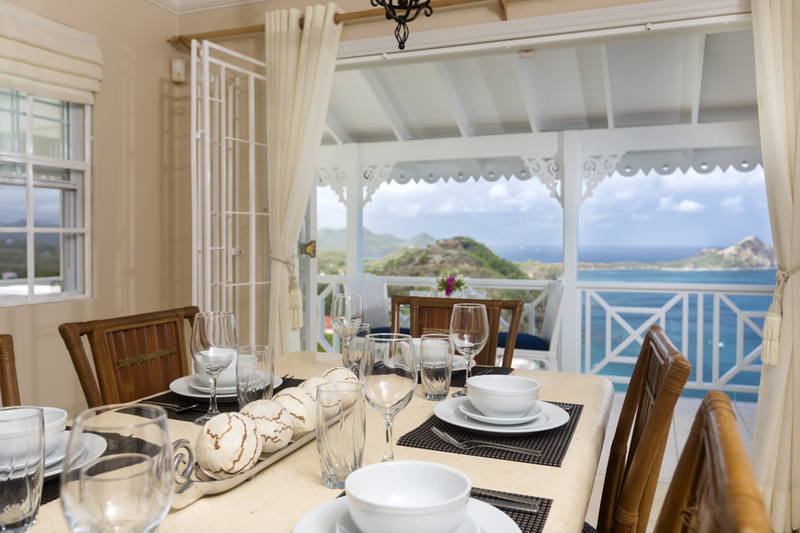 Enjoying a waterfront location at Saline Pointe in the north of Saint Lucia, Brise De Mer sleeps up to eight guests across four bedrooms and is especially ideal for extended family groups. Spread across three levels and with four bedrooms, your accommodation is both generous and stylish. 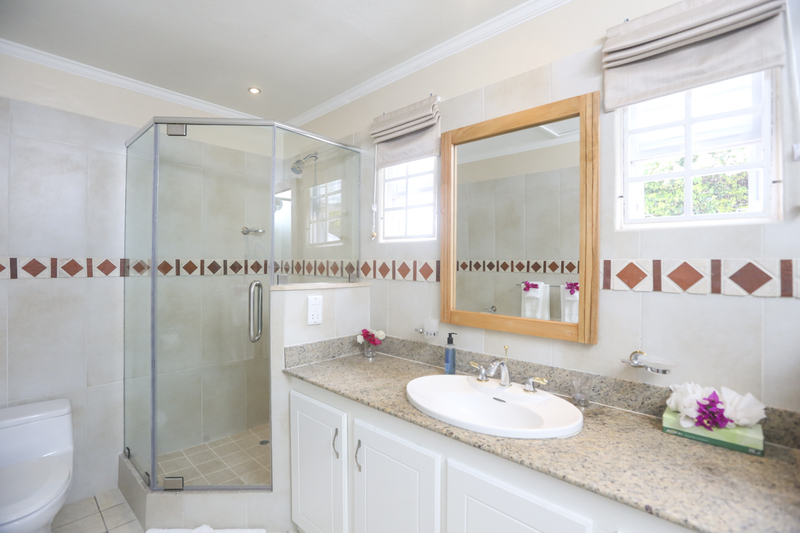 You’ll find the master suite and first bedroom on the top floor and both feature king size beds, en-suite bathrooms, colonial-style white timbered ceilings and private balconies. 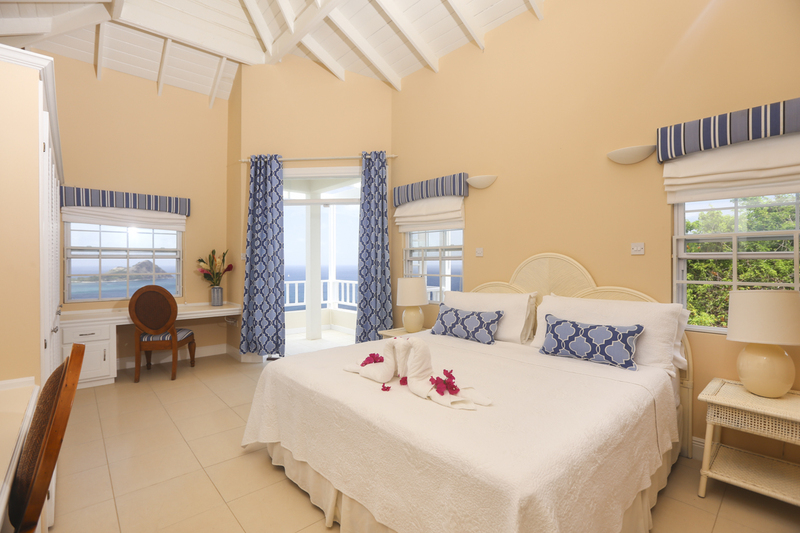 With the balconies, come the beautiful views of the sparkling sea and tropical coastline. 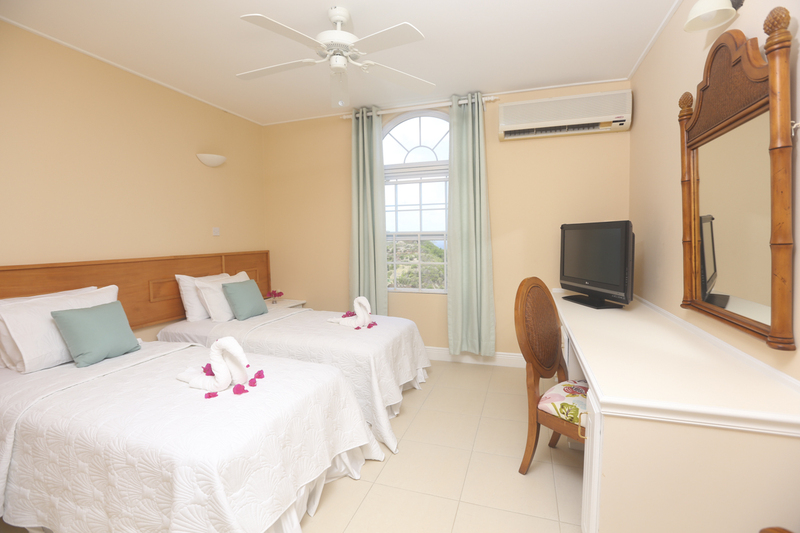 A third twin bedroom is also located on the top floor. 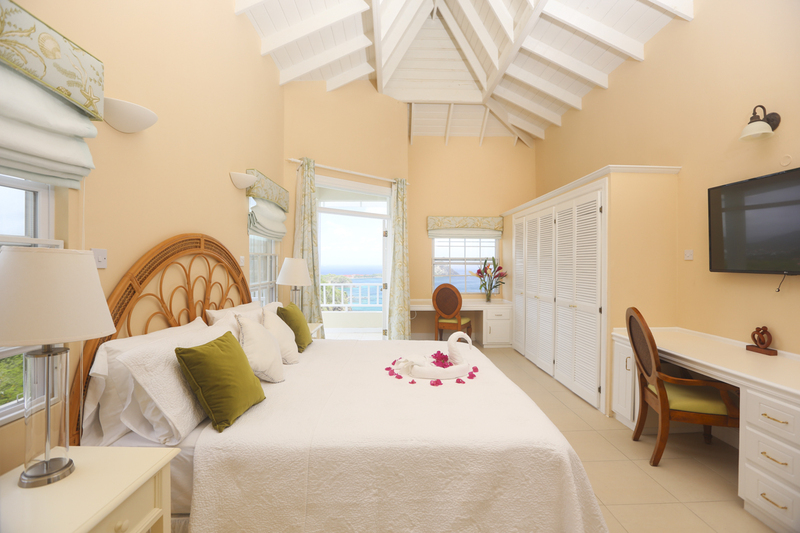 If preferred, these beds can be converted to a king and this room also boasts an en-suite bathroom. 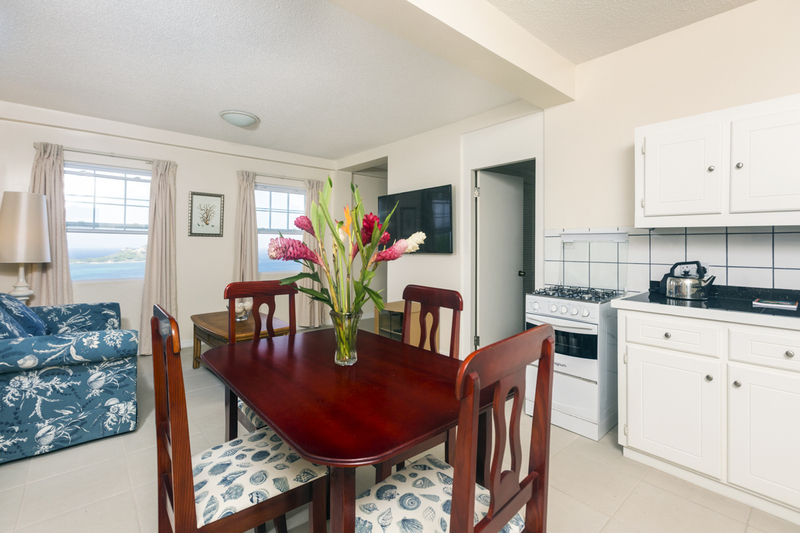 Down on the lower floor and with private access from the pool deck, two of your guests can enjoy their own space within the self-contained apartment. Comprising a double bedroom, bathroom, open plan kitchen-dining-living space, plus bar and patio area, this is where grandparents, grown up children or late-night revellers can do their own thing! The middle floor is where you have your fabulous, light and fresh living quarters. 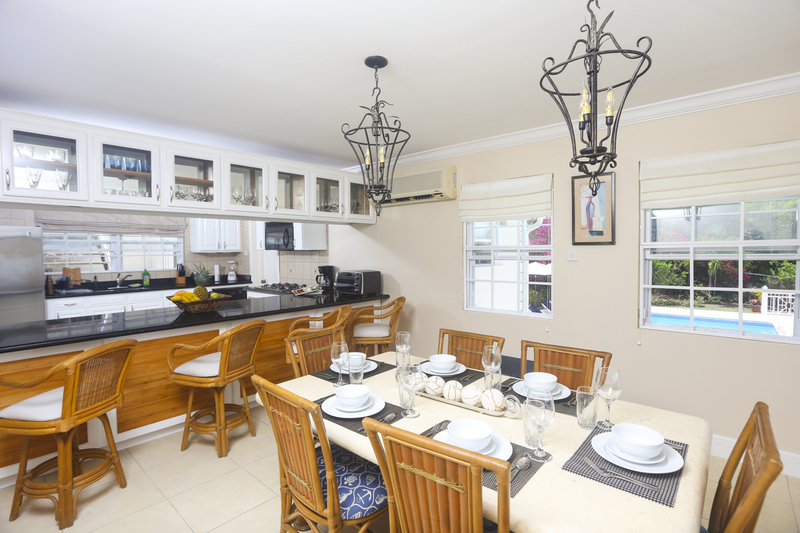 A spacious lounge connects easily to your dining room which then leads on to your kitchen. 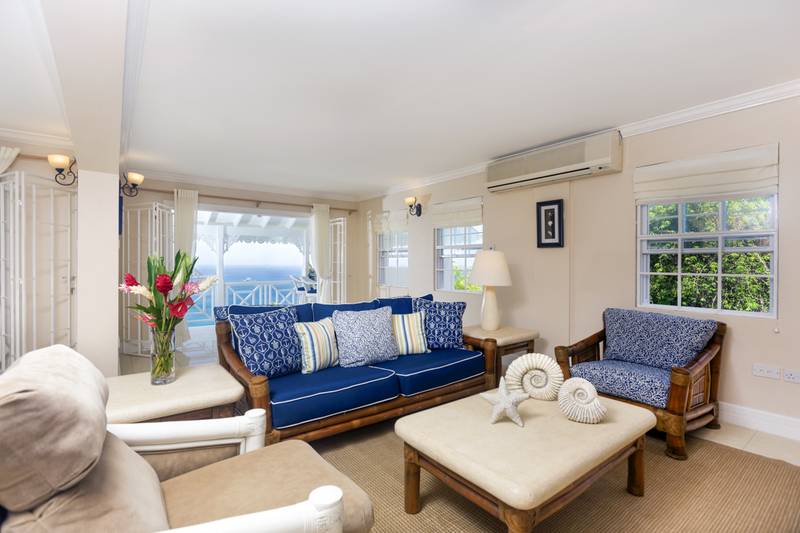 Brise De Mer’s delightful spaces insist on sharing good times with family and friends and relaxing and dining together. The décor nods to Colonial influences, with whites with cool blues contrasting with natural woods and plants. 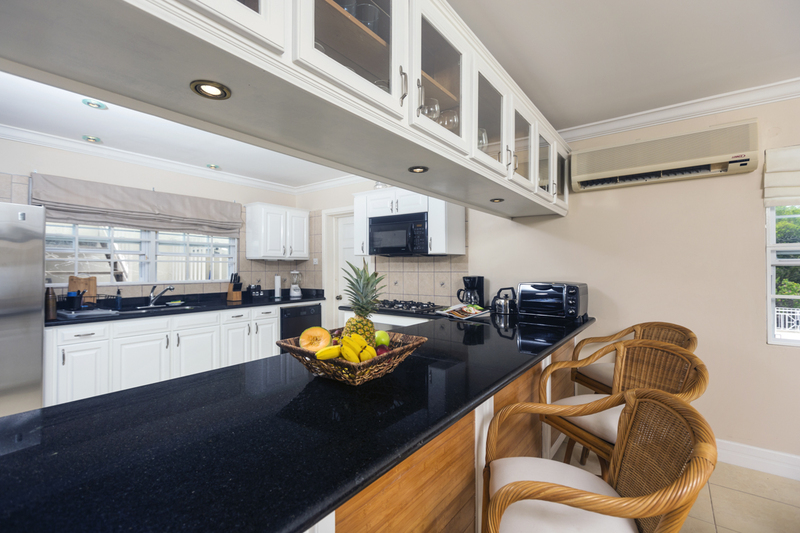 Your kitchen is very well appointed, and the sociable breakfast bar is for lazy starts to the day and pre-dinner drinks after sundown. 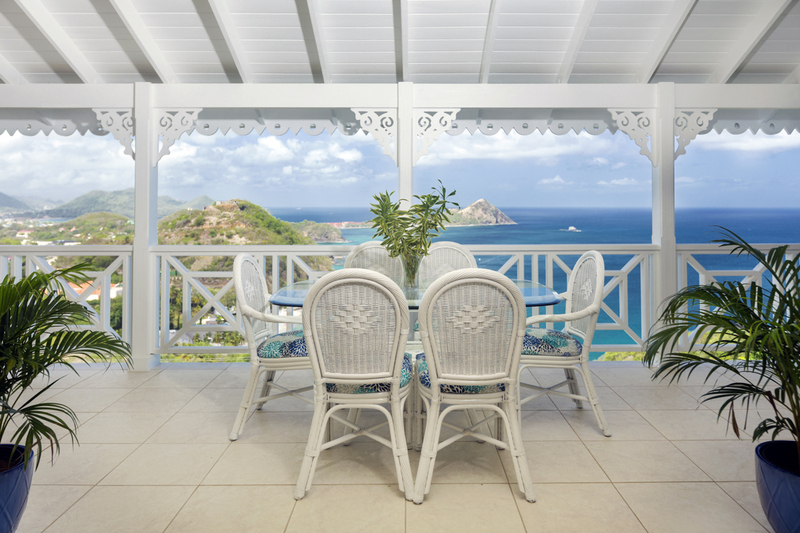 Despite Brise De Mer’s delightful interior, the real wow factor is waiting for you outside. Choose any of the French doors leading out from the living or dining area, and step onto your verandah. The high ceiling, tiled floor and intricately carved eaves are startling white against the deep blue sky and intense afternoon heat. Sit here with morning coffee, relax with an unhurried lunch or gather around the bar for a celebratory drink as the sun sets. Your view, of course, is breath-taking. 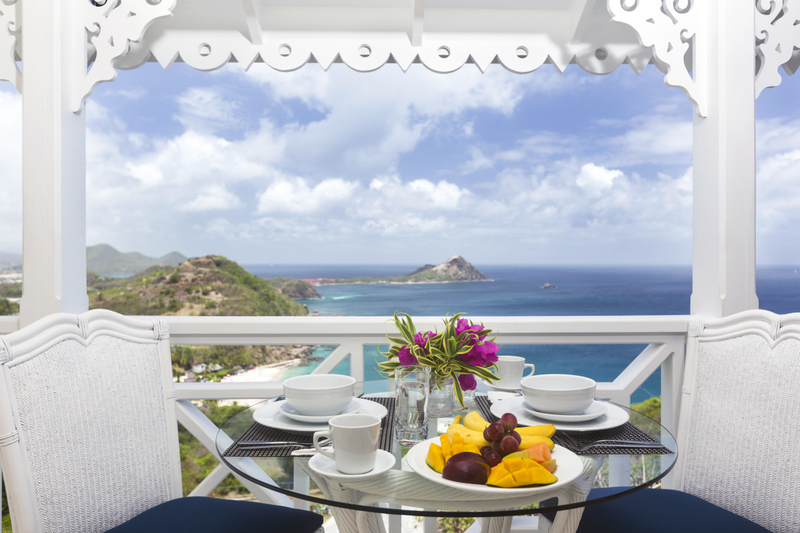 Your eye stretches across the Caribbean Sea, out to Pigeon Island and along Anse Du Cap beach. How wonderful! At the end of the verandah, take a few steps down to discover Brise De Mer’s fabulous pool terrace. This gorgeous outdoor space is totally private and within sight of the sea. 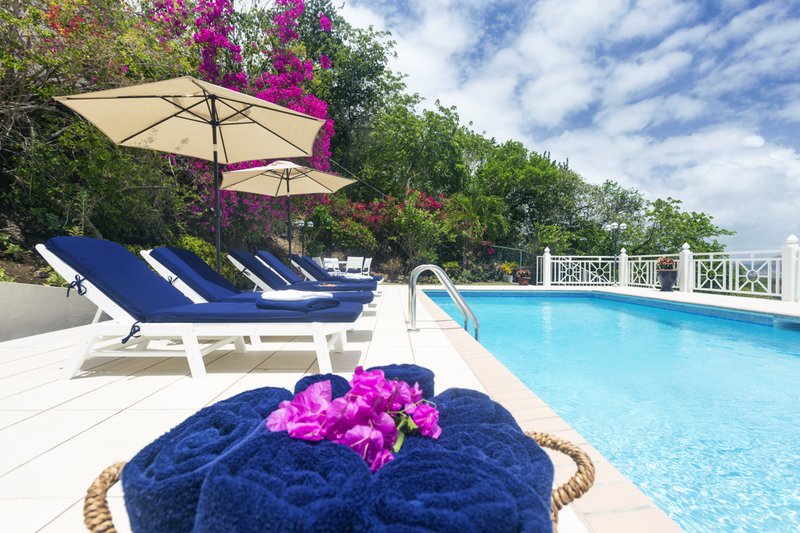 Roman steps lead you down into the cooling water of your private pool and you can swim your way through the day, surrounded by family and friends. Lie back on one of your sumptuous sun beds, soak up the view and congratulate yourself on choosing Brise De Mer. Tropical plants and beautiful flowers make up your lush backdrop and umbrellas cast welcome shade for snoozing or reading. 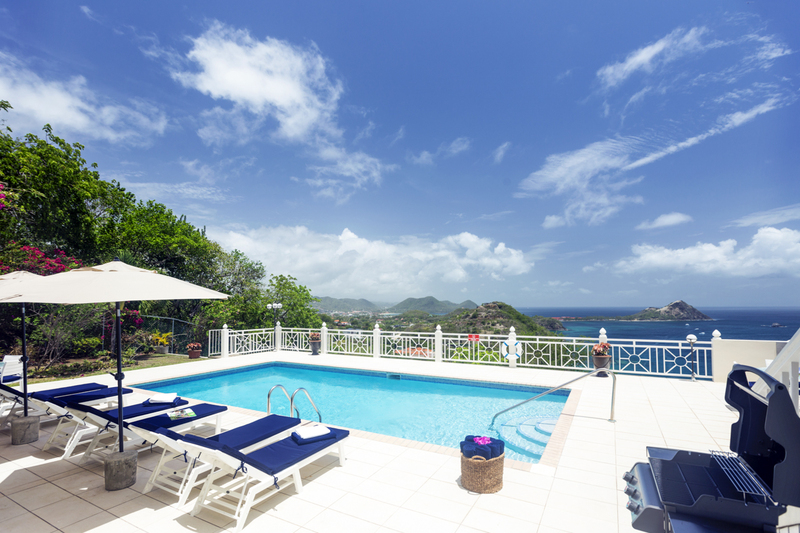 Anse Du Cap beach is a short distance away, and you’re surrounded by the exclusive golf course, restaurants and amenities available within Cap Estate. 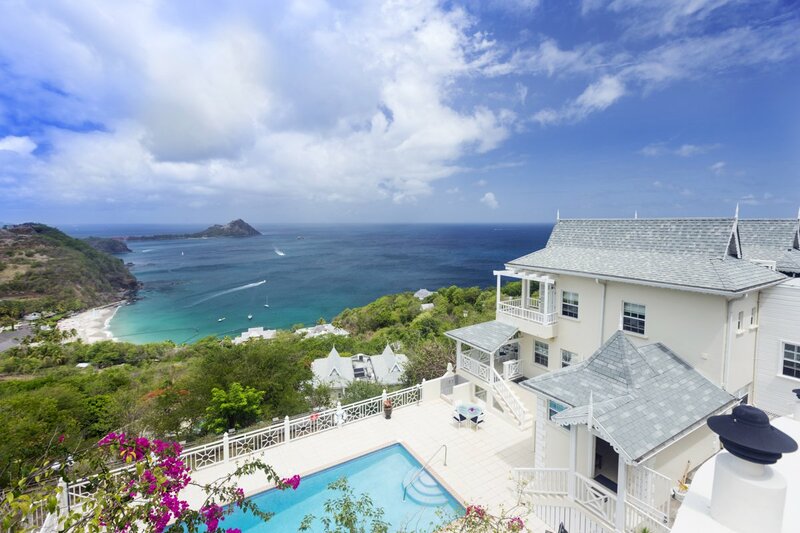 Saline Pointe, Brise De Mer’s exact location, belongs to the exclusive community of Cap Estate, occupying most of the northern tip of Saint Lucia. This Caribbean haven is home to an eighteen-hole golf course, acres of tropical greenery, luxury villas and picturesque coastline. Anse Du Cap is just a short distance from Brise De Mer. A black sand beach with lovely calm waters, come here for a quiet afternoon’s sunbathing and swimming. Also close by are Anse Bucne – another black sand beach – and Smuggler’s Cove which is great for snorkelling. The sea is crystal clear and with Marine Reserves around Anse Cochon and the Pitons, the sea life can be spectacular. If you fancy learning to dive, the Caribbean is a fantastic place to start. Find a state-of-the-art dive school in Rodney Bay. If you’re a golfer, staying at Brise De Mer will feel like paradise. 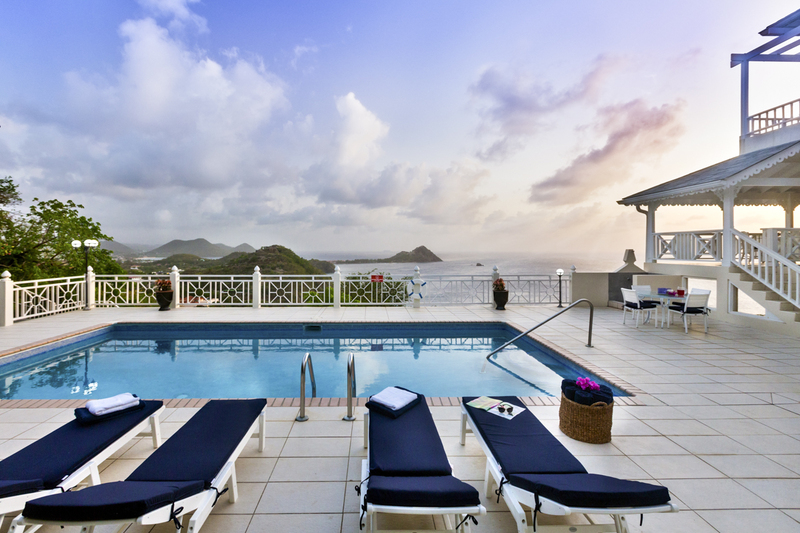 Saint Lucia Golf, an eighteen-hole golf course, is on your doorstep. Complete with rental shop and Caribbean grill restaurant at the clubhouse, it is championship standard and the only course on the entire island. To explore the island further, look out for the Dollar Buses which run between Cap Estate, Rodney Bay and Castries. You can wait at a stop or just hail one as it goes by. 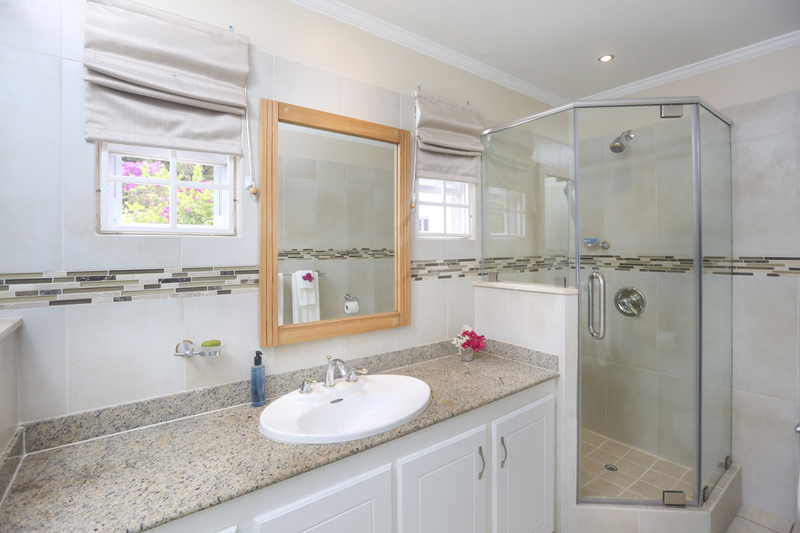 They’re privately run, and in true Caribbean style, fun and laid-back! Head to Castries on a Saturday morning for row after row of market stalls, piled high with mouth-watering fruits and spices. 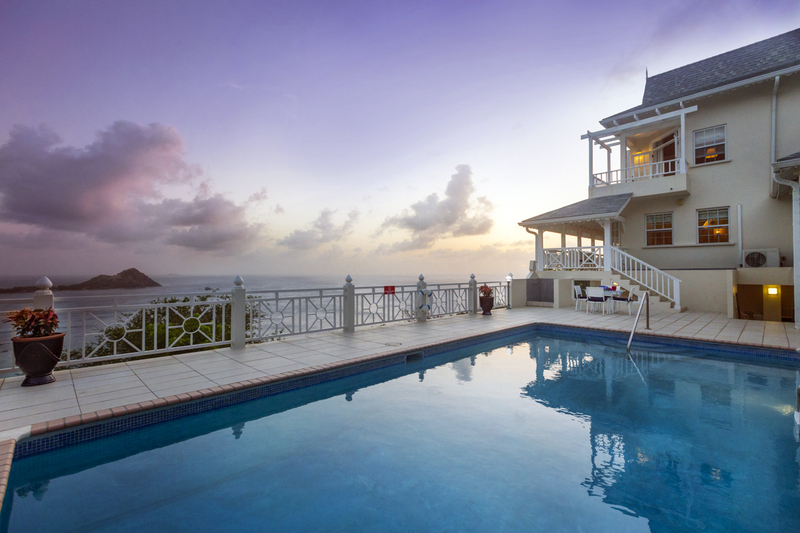 Be sure to land back at Brise De Mer in enough time to find your favourite place on the verandah or pool deck and watch on in admiration as the sun sets on the horizon. Bliss!